I am out this evening so I have posted this one from work as I have come across it on Flickr. 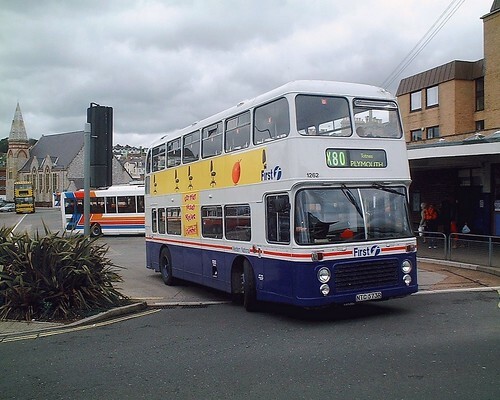 NTC573R was alway a favourite of mine and did seem to live a suprisingly long life in Plymouth. It was not in brilliant condition internally but it did get out onto some long runs including the X80. Expect low floor Tridents these days - a big improvement for passengers even if a lot less interesting for anoraks! More Bus Rally pix to follow tomorrow!